Singapore—Armed Forces in different nations deal with training accidents in different ways. After the recent spate of armed forces training-related deaths in Singapore, a total of four in seventeen months from September 2017 to January 2019, Singapore’s Armed Forces implemented new protocols in order to improve the safety of our national servicemen. And yet, some people were unsatisfied with this, with individuals even calling for the Minister of Defence, Ng Eng Hen, to step down, after the death of actor and soldier Aloysius Pang on January 23. 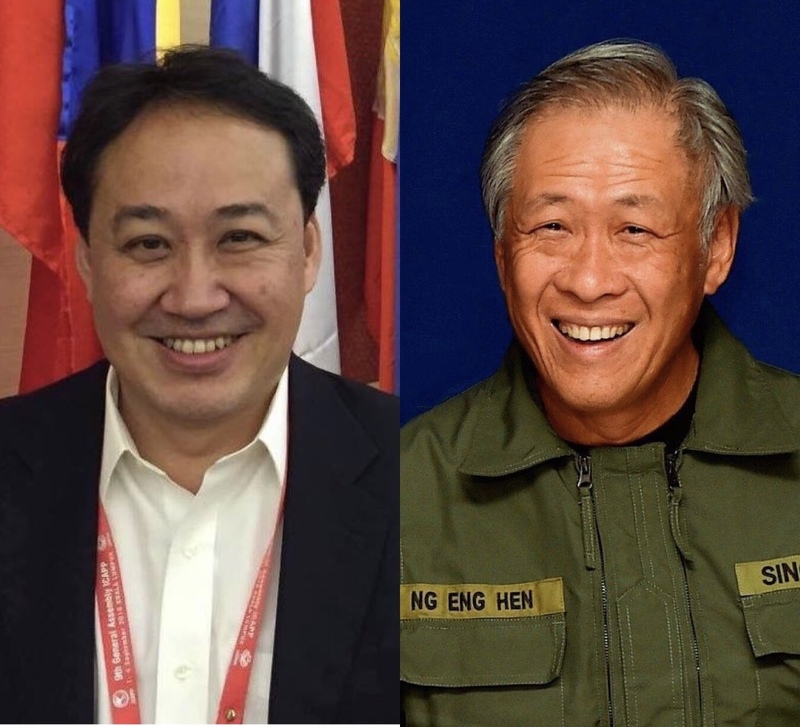 Opposition leader and lawyer Lim Tean took aim at the MINDEF minister again on Thursday night, March 14, wherein he compared how the Israeli army handled the training death of one soldier with a sharp reprimand and some officers even being let go, with how SAF handled the fallout from recent training deaths. There was a fatal training accident last January, resulting in the death of Sergeant Evyatar Yosefi. In a navigation exercise, Sgt. Yosefi drowned in the Hilazon stream. The army then launched an operational investigation into the soldier’s accidental demise. Following the investigation, the head of the Israeli Defense Forces (IDF) Chief of Staff, Lt. Gen. Aviv Kochavi, meted out a punishment for the whole chain of command involved in the exercise. The Paratroopers Brigade commander received a reprimand. Five officers under the commander were dismissed from their posts, “from the Paratroopers reconnaissance team commander to the commander of the brigade’s reconnaissance battalion,” according to Haaretz. This is not the first time that the Israeli army has shown severity in meting out punishments for such an occurrence. Mr Tean wrote in his post, “One training death in the Israeli Army and the whole chain of command in the affected unit gets the reprimand ( Commander ) and the sack ( Other Officers ). This is what accountability looks like! Unlike the SAF which has had 9 training deaths in 16 months and Ng Eng Hen and the COD and COA have been untouched! 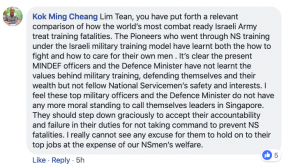 Mr Tean’s post has been widely commented on and shared, with many netizens agreeing that what the Israeli Army did is a prime example of accountability.